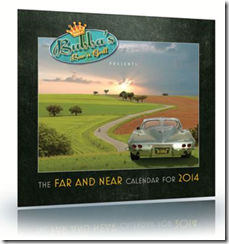 Bubba's Bar 'n' Grill Far and Near Calendar for 2014 is now available for pre-order. The calendar will release on Nov 1, 2013. Count down 2014 with Bubba's Bar 'n' Grill. The brand new Far and Near Calendar for 2014 is 12"x12" and features 28 pages brought to you by the West Side Beemer Boyz. Makes a great gift!